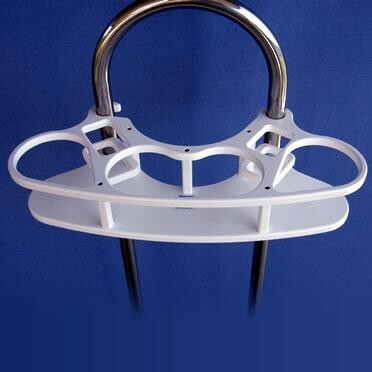 1-1/4" x 9-1/2" 1-1/8" x 9-1/2"
Model Specific Binnacle Drink Holder fits original Catalina 350 and Catalina 387. Does not fit Catalina 350 MK II. Features two integrated handheld electronics holders with interior openings of 2.875”x1.625” and 2.375”x1.625”.